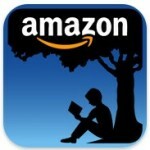 Amazon.com’s Kindle app for the iPad, iPhone, or iPod touch has received a major update to version 2.2. The free eBook reader/manager now allows for a full search of words books while reading them on the iPad, which is a a boost for genealogists using iPads and Kindle to manage their eBook selection or Kindle books. It has also improved searching inside of books for iPhone or iPod touch users. Another major addition allows you to look up the definition of words with the included 250,000 entry dictionary, as well as accessing Google and Wikipedia.